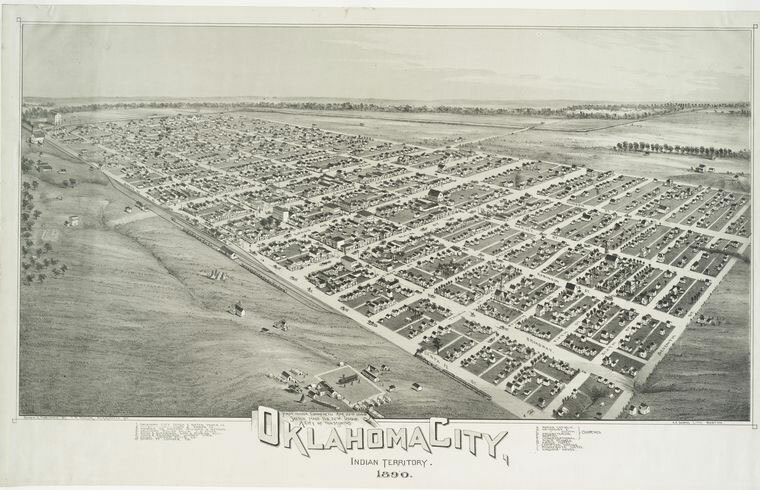 Oklahoma City boasts excellent American infrastructure, gorgeous lakes, and a charming downtown. But our favorite has to be the trees! Oklahoma City is the home to some of the most hearty trees in the oak family and over 180 species altogether making for a visually diverse landscape of which any city should be proud. Edmond Tree values this beautiful foliage and is eager to help Oklahoma City residents care for the trees on their properties with our crew’s unmatched expertise. We offer a multitude of services and are always happy to hear from you what projects our customers are working on and how we can support them. Some of our most popular services include tree and stump removal, tree trimming, pruning, and brush clearing. We arrive on your property with not only top-notch equipment, but first-rate skill, ready to quickly, professionally, and safely take care of your need. Our Oklahoma City customers tell us that our proficiency allows them to take on even the biggest landscaping projects with confidence. Just like humans, trees can come down with illnesses from time to time. When it happens, you must act fast, and Edmond Tree is ready! We know what to trim (and what not to trim) to restore your tree to full health. We can also help when a tree begins to grow into a power line or fence, and you want to shape it without risking permanent damage to its growth. Whatever your tree trimming need, Edmond Tree is Oklahoma City’s trusted choice! When a tree has already succumbed to disease or needs removing for another reason, it is quite the task! There are diverse root systems to consider, necessary safety precautions, and the cleanup itself can be consuming. Edmond Tree is more than capable with several removal options and ample experience in doing so efficiently and cleaning up the mess left behind. Even if we didn’t create the clutter, we are happy to help you clear it! Our brush clearing services include help with construction grading, fire damage, general land clearing, storm cleanup, and whatever else you need help getting off your property. We can even perform wood chipping and firewood cutting so that you can put that debris to good use. Of course one of our favorite services at Edmond Tree is to thwart future issues altogether with our preventative tree care. We will work with you to come up with a comprehensive plan to care for the foliage on your property. We also love tree planting! Our specialists know precisely which species will thrive on your particular property and how to position them to meet their growth potential. Edmond Tree is all about new growth and keeping current growth healthy and safe! Still, Oklahoma City residents know all too well that weather wreaks serious havoc despite the best preparation. Storms and tornadoes can fell trees in dangerous and distressing ways, so Edmond Tree offers a 24-hour emergency service to assist the community after disaster hits. We are well equipped for all kinds of crisis situations to provide fast relief and various support services for the trees on your property. Give us a call to get started with your next outdoor venture!